When you slip the perfect cushion on your feet and take a few steps, you move lighter. You move about your day more easily. Like you’re floating from project to project, place to place. 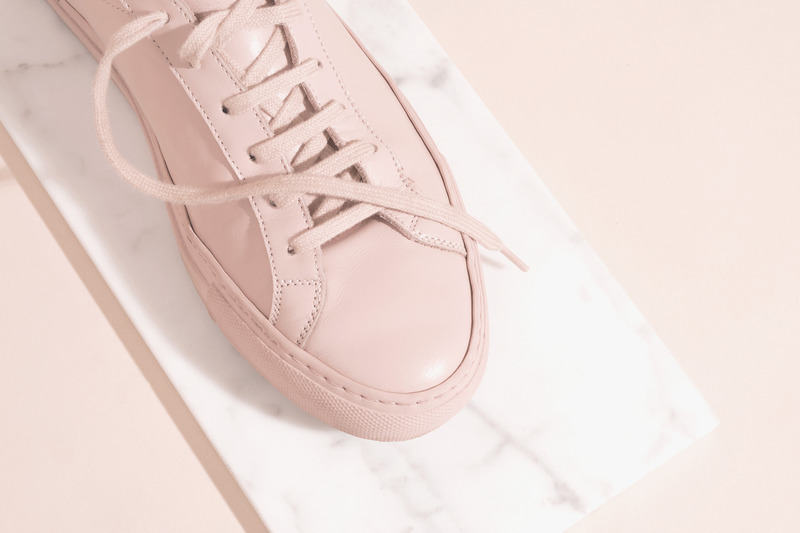 And while pink may not be your personal color of confidence, we’re pretty certain you’ll glide through the streets and walk through the door more confidently in a pair of blush-colored shoes. 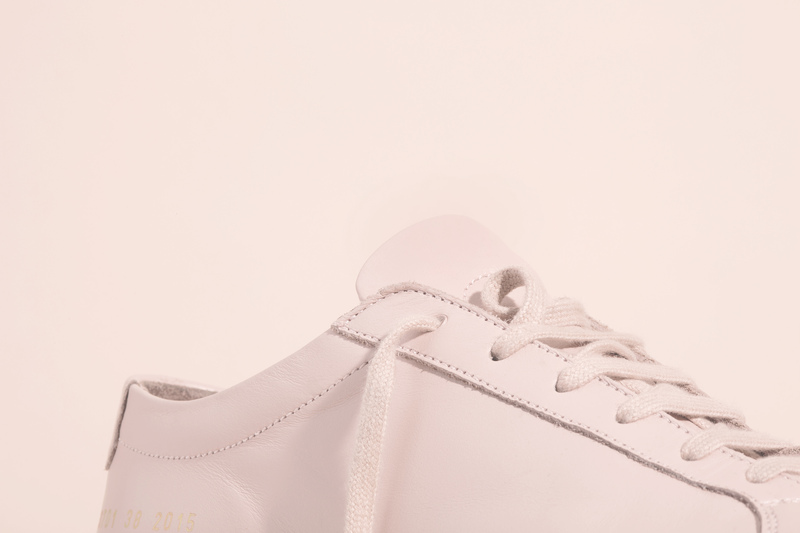 More specifically, these blush colored shoes. 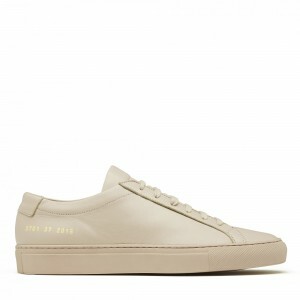 The Blush Common Projects Achilles Low maintain the clean lines and sharp minimalistic design of the iconic style, while the unique color drapes over it like the perfectly popped bubble gum bubble — like the shoe itself is trying to flirt with the world around you. This brand does everything with purpose, attention to detail, and sharp aesthetics that complement everyone’s style. The Achilles Low features their signature Italian leather that feels like butter, a durable rubber insole, and the traditional size and style code stamped in gold, which looks sharp against the blush. The beauty with this shade is that it’s soft enough to be on the subtle side of pink, but pigmented enough to make a statement. Cream shorts in the summer, jeans in the winter, even a navy suit if you want to throw things off kilter a bit. 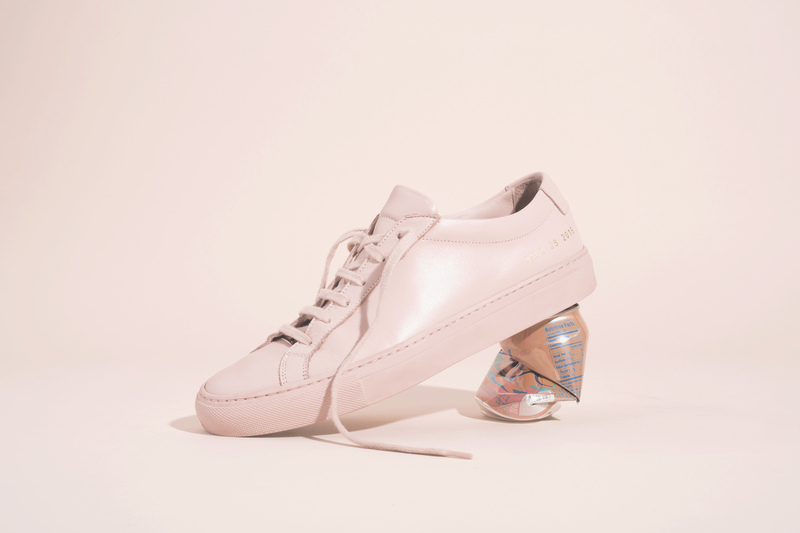 Whether you wear them as a single burst of color or combine them with other patterns and shades, there are numerous ways to make these shoes personal to you. Although the shoe style is a signature design, the color is unique, and you’ll smile when you first put them on. And as the shoe wears and the leather softens even more, your relationship may move from flirtation to commitment.